Well done to the boys who played in this open today (28/7/13). 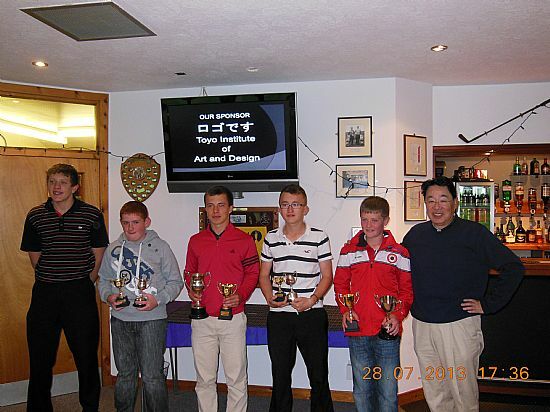 On what turned out to be a very, very, very, very (few) wet Sunday the 2013 Toyo Orkney Junior Championships had to be reduced from 2 to 1 round due to the extreme conditions. This meant that even with the reduction in play the SRGC boys faced a very difficult challenge on, for some, an unfirmiliar course. In the 18 hole competition Ciaran Drever carded a 113gross/87 nett but unfortunately didn't make it into the prizes. 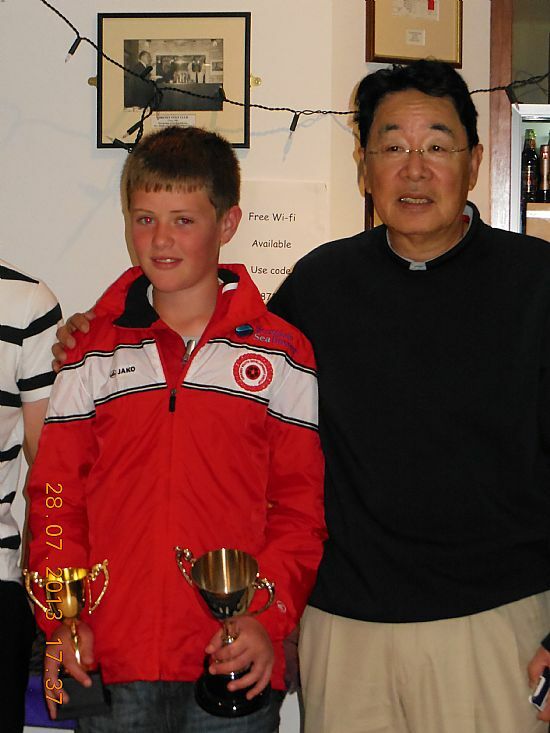 In the 9 hole competition we had not one but 2 Scotts vying for this title.In the end Robbie carded a 66gross/40nett but it was 12 year old Glenn who shone on a wet day with an exceptional 56 gross/30 nett to win the Best gross in his section. So a very well doen to the boys and lets hope this is the start of junior trophies coming to SRGC.